Illustrated by Louisa Bertman, see more of her work on her website and Altpick page. 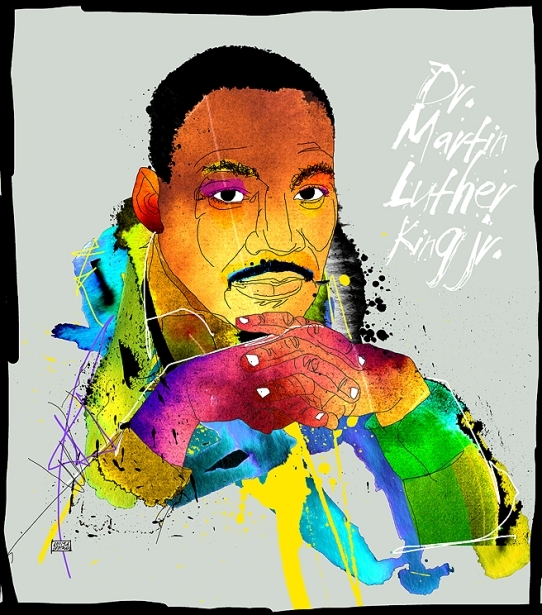 This entry was posted in Altpick, Art, Illustrations and tagged illustration, martin luther king jr.. Bookmark the permalink. 2 Responses to In Honor of Dr. Martin Luther King Jr. Such wonderful, fantastic color. Such strength. Thank you. We couldn’t agree more, Carol.